This weekend brings the final program of the Los Angeles Master Chorale’s current season — and with it the conclusion of Terry Knowles’ tenure as President & CEO of the LAMC. A bittersweet weekend indeed. There are executives of organizations, and there are genuine arts leaders — and Terry has carved out a niche all her own in the latter category during her 15 years leading the LAMC. Along with overseeing the transition to the Chorale’s new home in Disney Hall, Terry spearheaded an incredible period of growth — artistic and budgetary — in the LAMC’s history, expanding audiences and educational outreach and increasing the organization’s operating budget by more than 80% (! ), to $5.4 million: all this in the face of the Great Recession. Terry not only refused the direction of “dumbing down” that has been fruitlessly followed by so many other performing arts organizations but ramped up the Master Chorale’s commitment to daring, innovative, thoughtful programming and important commissions. She oversaw the appointment of music director Grant Gershon — a brilliant choice — and their shared vision has earned international preeminence for the LAMC. Here’s just a partial list of the astonishing caliber and range of living composers whose works the LAMC has premiered or championed during her tenure: John Adams, Steve Reich, Gabriela Lena Frank, Philip Glass, Steve Lang, Chinary Ung, Esa-Pekka Salonen, James Newton, Morten Lauridsen, Shawn Kirchner (currently serving as resident composer), and Nico Muhly — whose works formed the basis for A Good Understanding, the LAMC’s first CD marking a new partnership with Decca. 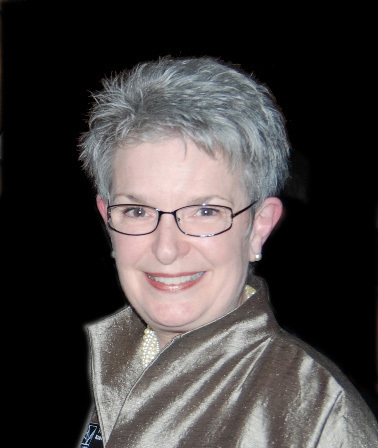 Next month Chorus America will recognize Terry Knowles with its 2015 Distinguished Service Award. During Chorus America’s annual conference in Boston, Grant Gershon will also receive the Louis Botto Award for Innovative Action and Entrepreneurial Zeal. It would be hard to overstate the impact Terry has had through her tireless dedication, wise leadership, and inspiring love of the art.